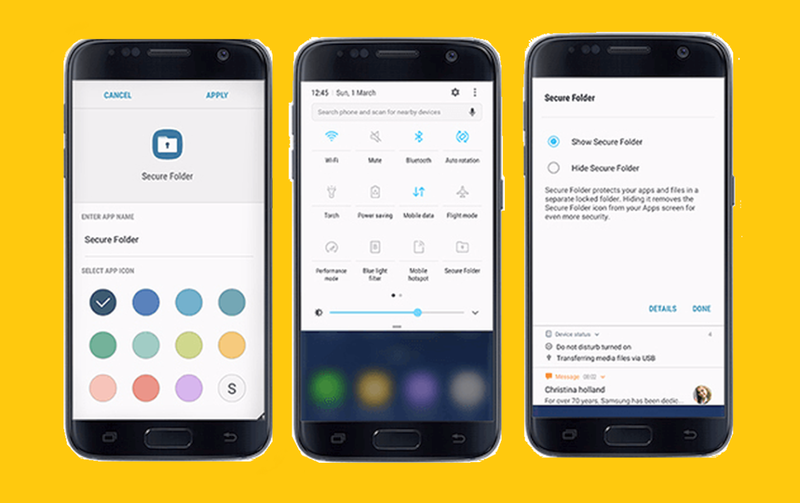 How to Use Samsung Secure Folder on Galaxy S8 - In this Samsung Galaxy S8 guide we’ll show users how to take advantage of Samsung’s Secure Folder feature on the Galaxy S8 and Galaxy S8 Edge Plus. 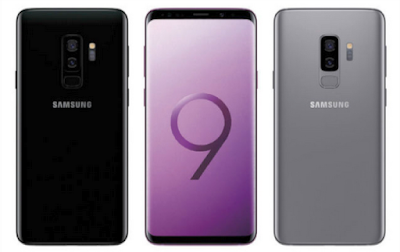 Samsung is bringing all new option that allows users to hide anything and everything on their smartphone with "Secure Folder" to the this phone to upgrade the defense-grade Samsung Knox security platform more private. With the Samsung secure folder keeping sensitive information safe on our smartphone is easier than ever before. You can put essentially anything on Samsung Galaxy phone in this privat folder, and it’s locked away from prying eyes. A high level of security often unavailable without downloading third party apps. If you need to hide photos, files, work documents or entire apps, this is the best Samsung Galaxy S8 hidden features. One of the best aspects S8 features of the Secure Folder, completely private, and unavailable without a password, PIN, or fingerprint. Additionally, everything can be backed up to the cloud in case of loss or theft. By using Samsung S8 Secure Folder is perfect for sensitive work documents or email addresses, or anything else for that matter. If you have something you want to keep private on your Galaxy, this is where it should be. 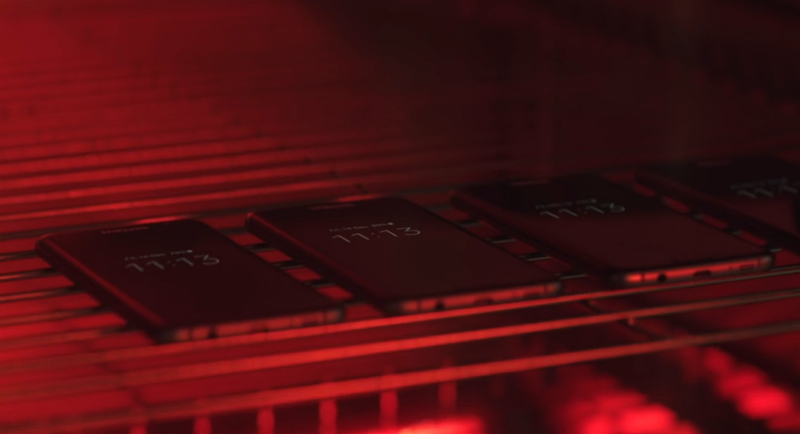 Furthermore, it’s powered by Samsung KNOX, an enterprise-level security platform. Setup is easy, and using it is too. Here’s what you need to know. 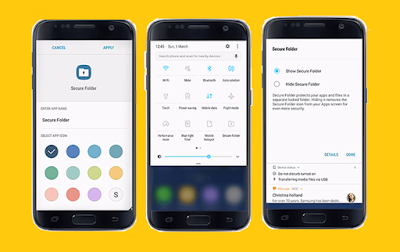 How to use secure folder ?All you need to do in order to take advantage of this is download the app, and start moving sensitive information it’s only available on the Galaxy S8 or S8 Edge if you’re running Android 7.0 Nougat, so keep that in mind. On the Apps screen, tap Settings → Lock screen and security → Secure Folder. Tap SIGN IN and sign in to your Samsung account. Select a lock method to use for Secure Folder and follow the on-screen instructions to complete the setup. A shortcut to Secure Folder will be added to the S8 Home screen and the Apps screen. If you forget your Secure Folder unlock code, you can reset it using your Samsung account. Tap the reset button that appears when an incorrect unlock code is entered, and enter your Samsung account password. Set the device to automatically lock Secure Folder when it is not being used. 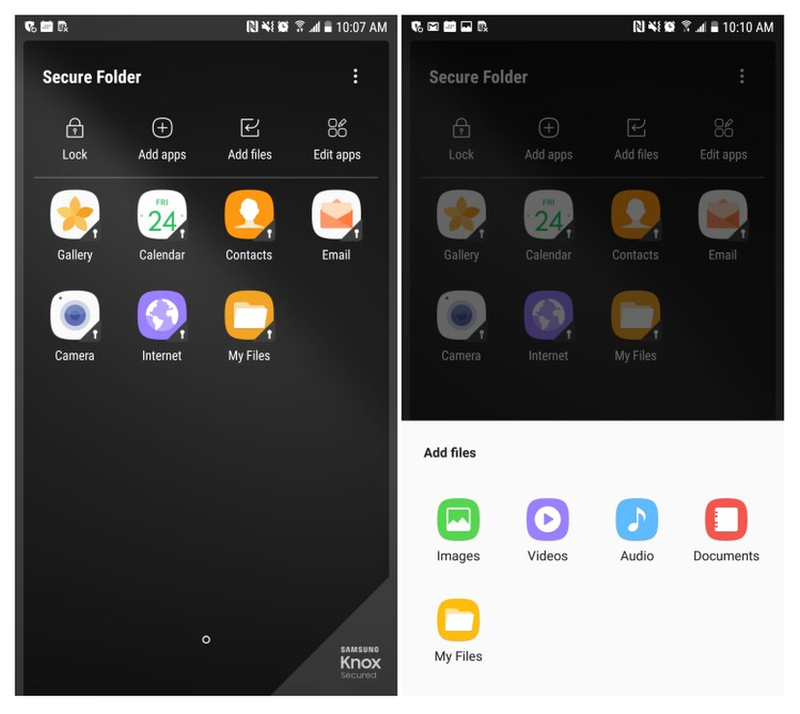 On the Apps screen, tap Samsung → Samsung Secure Folder App. Tap Menu → Settings → Auto lock Secure Folder. To manually lock your Secure Folder, tap Lock. Move content, such as photos and contacts, to Secure Folder. The following actions are an example of moving an image from the default storage to Secure Folder. On the Apps screen, tap Gallery. Select an image and tap → Move to Secure Folder. The selected items will be moved to the corresponding app in Secure Folder. You can move content from Secure Folder to the corresponding app in the default storage. Select an item and tap → Move out of Secure Folder. You can add an app to use in Secure Folder. 1 On the Apps screen, tap Samsung → Secure Folder. 3 Tick one or more apps installed on the device and tap ADD. Tap and hold an app, and drag it to Disable or Uninstall at the top of the screen. Add your Samsung and Google accounts, or other accounts, to sync with the apps in Secure Folder. On the Apps screen, tap Samsung → Secure Folder. Follow the on-screen instructions to complete the account setup. You can hide the Secure Folder shortcut from the Home screen and the Apps screen. Tap → Settings and tap the Show Secure Folder switch to deactivate it. To show the Secure Folder shortcut again, open the Apps screen, tap Settings → Lock screen and security → Secure Folder, and then tap the Show Secure Folder switch to activate it. 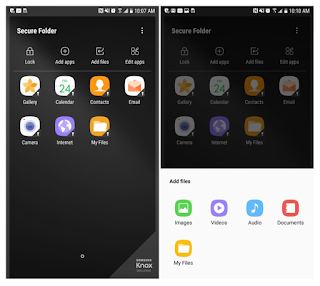 You can Download Samsung Secure Folder or uninstall Secure Folder, including the content and apps in it. On the Apps screen, tap Settings → Lock screen and security → Secure Folder → Uninstall. Tap UNINSTALL or BACK UP AND UNINSTALL. UNINSTALL: Uninstall Secure Folder immediately. All apps in Secure Folder, including their content and accounts, will be deleted. BACK UP AND UNINSTALL: Back up content and uninstall Secure Folder. Files → My device → Secure Folder. Notes saved in Samsung Notes will not be backed up.